A long time ago, when “A New Hope” came into the cinemas in 1977, the story was actually about a hero named Luke Skywalker. 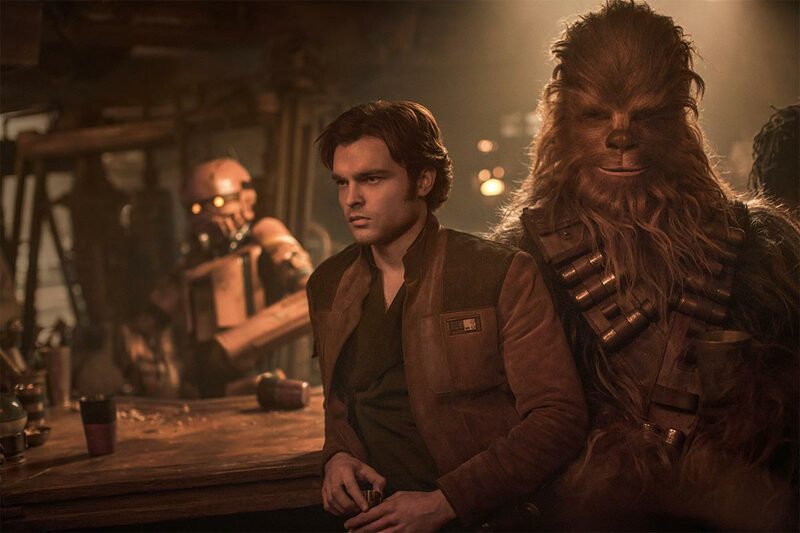 But, from the very first moment, when Luke met a likeable smuggler in the cantina of Mos Eisley, the cinematic universe has changed forever. Hereafter, that daredevil from the cantina of Mos Eisley became the real hero of Star Wars and a true crowd pleaser. Moreover, the life of the actor who performed the character changed too. Since then, one of the biggest movie stars of the last 40 years delighted us with thrilling movies. Of course, we are talking about Harrison Ford and Han Solo. Since Episode IV, all fans dreamed of Han’s adventurous life on his home planet Corellia and all the adventures, which the daring guy experienced before he met Luke Skywalker. 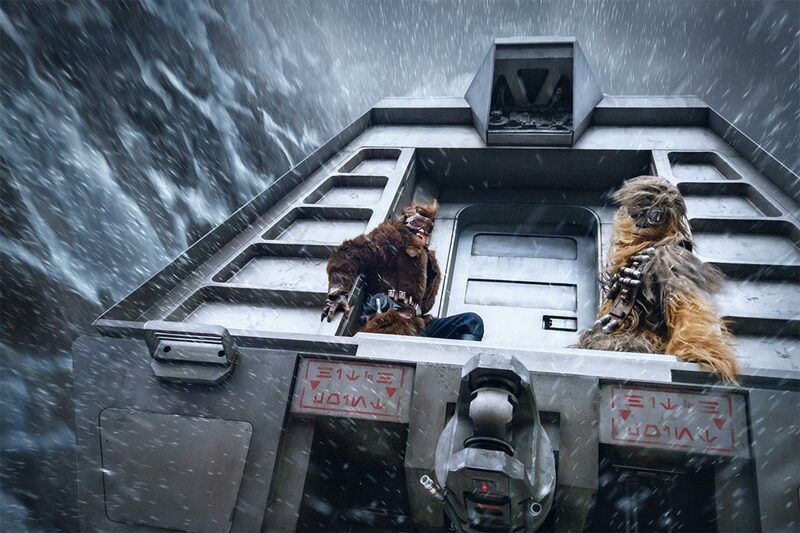 Thus, the fans also dreamed of his most popular adventure, the Kessel run. 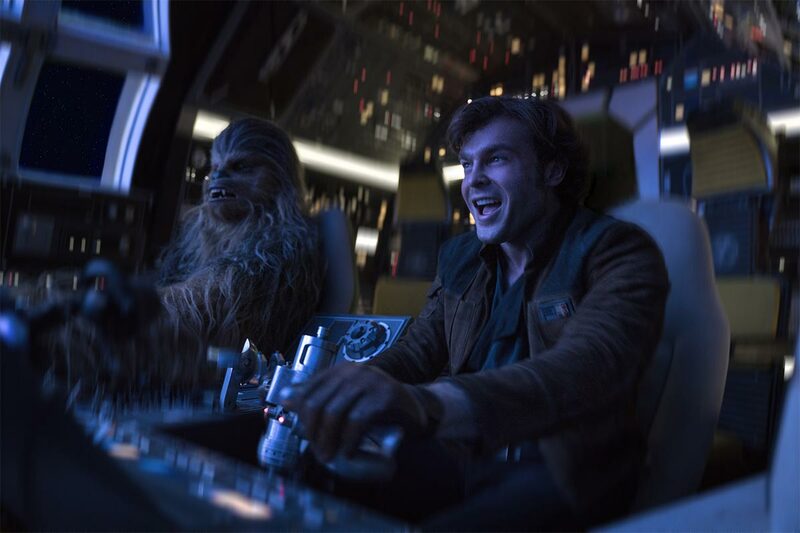 Of course, every fan knows that Han Solo’s vessel, the everywhere popular Millennium Falcon, belongs to the fastest ships in the galaxy, since it made this trip in just twelve parsecs, but not in fourteen. Now, fans as well as anybody else are invited to discover the transformation of a young man into Han Solo. As long the Star Wars story is meanwhile as quickly explained is the plot of SOLO: A STAR WARS STORY. About 10 years before his life-changing meeting with Luke, Han Solo joins a gang of smugglers. 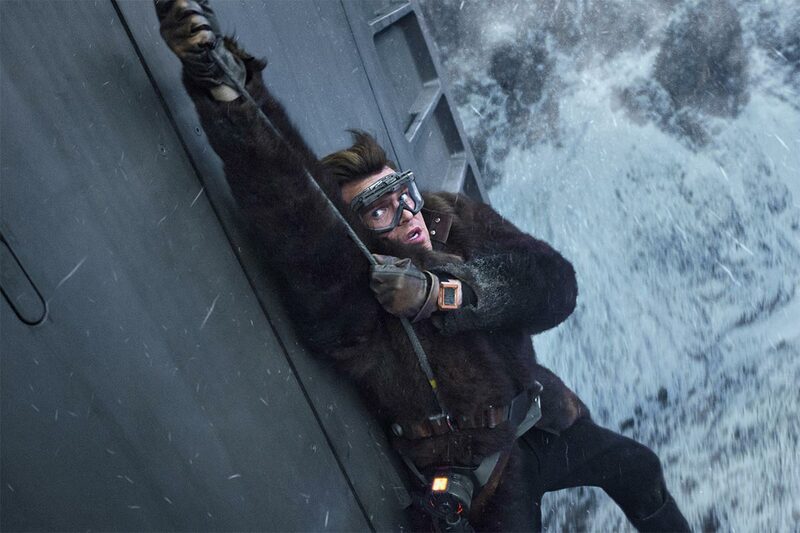 Furthermore, during a mission, Han falls into a trap, where he meets a young 196-year-old Wookie. Of course, we talk about his future loyal buddy Chewbacca. Indebted to Dryden Vos, the crew devises a daring plan. Together they go to the mining planet Kessel. Their target are the starship fuel mines on that planet. Here, they want to steal a batch of valuable hyperfuel, known as coaxium. However, to accomplish their mission they need a very fast ship. Thus, Han Solo visits Lando Calrissian, the smart owner of the perfect vessel – the Millennium Falcon. lanet Kessel. Their target are the starship fuel mines on that planet. Here, they want to steal a batch of valuable hyperfuel, known as coaxium. As everybody knows, the likeable smuggler was portrayed originally by Harrison Ford. Because of his subliminal humor and likeable clumsiness, the audience loved that guy. Hence, Ford became one of Hollywood’s greatest superstars. So, a difficult legacy for Alden Ehrenreich, who walks in Ford’s footsteps from now on. He does his best, but he cannot convince the audience completely. Of course, too big is Ford’s legacy. 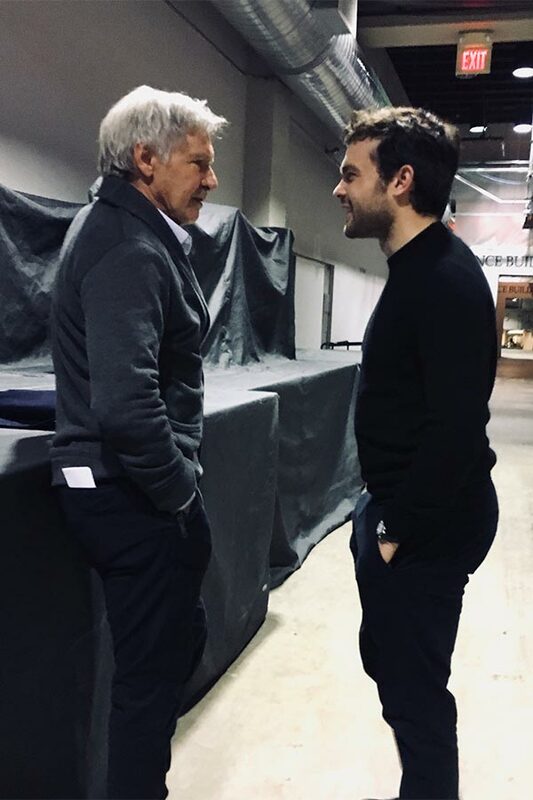 Harrison Ford and Alden Ehrenreich at the press junket for SOLO: A STAR WARS STORY in Los Angeles May 12, 2018. Ehrenreich hasn’t the presence like Ford. Ford was Han Solo at that time. He controlled the action. But Ehrenreich is controlled by it. 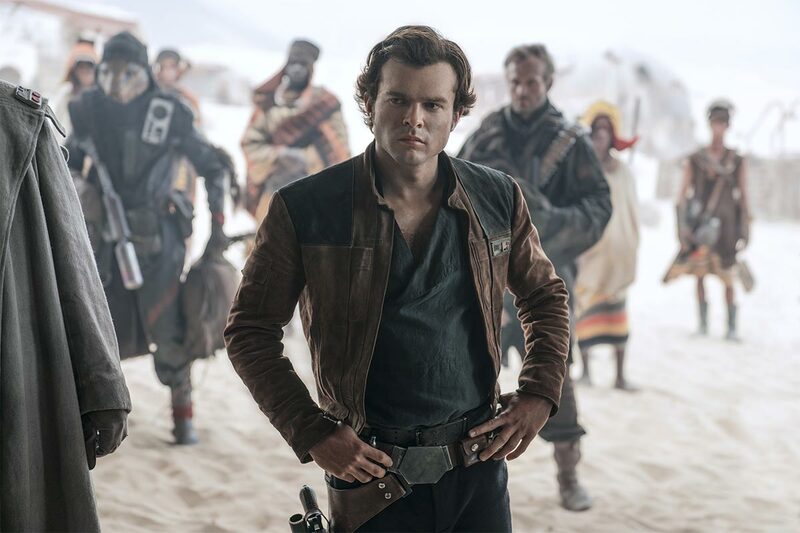 Therefore, Han Solo fans were disappointed, when SOLO: A STAR WARS STORY was released in spring this year. However, to be honest and fair, when a young actor would have to play the role of Indiana Jones, it would be probably the same. Harrison Ford was and still is an exceptional artist and a great personality. Thus, it’s not easy to fulfil the expectations of the audience, when a new actor like Alden Ehrenreich has to continue Ford’s legacy. Detached from the normal storyline, the second part of the anthology series is an entertaining film. Especially on 4K Blu-Ray, the impressive pictures unfold their true effect. 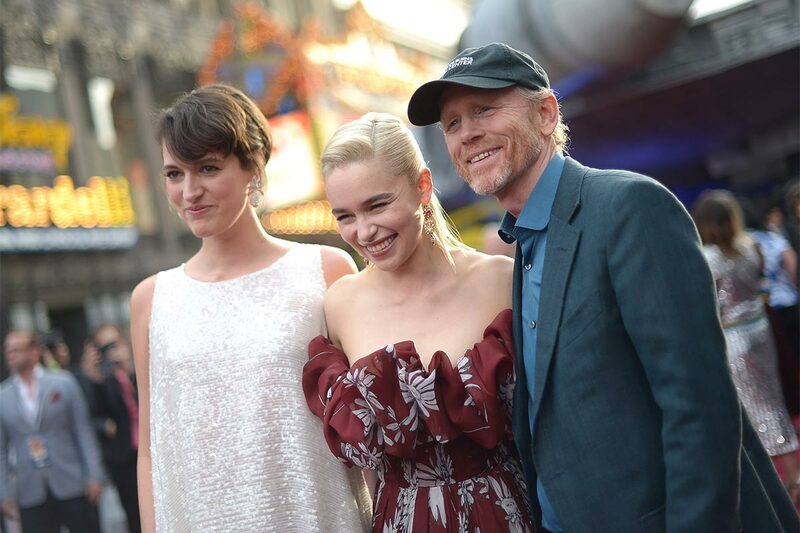 Besides, SOLO: A STAR WARS STORY unites the who is who of Hollywood. Howard belongs to the rocks on which the modern Hollywood bases on. Many know that Howard is responsible for blockbusters such as Apollo 13 (1995), A Beautiful Mind (2001), The Davinci Code (2006) and Inferno (2016), to name just a few. However, it’s not widely known, that Howard started as successful actor, who starred alongside Harrison Ford and under direction of George Lucas – the creator of Star Wars – in American Graffiti. So, Howard knew Ford’s character and personality. Furthermore, he understands Luca’s visions. Therefore, he gave the young Han Solo an individual touch. Still the daredevil, Solo must learn to deal with losses and mistakes. As usual, Howard gives his characters a sensitive touch, but sometimes too much, when we recognize that the action is located in an insecure universe where only one thing counts: to survive. The smuggler becomes Han Solo’s mentor. It’s reported that that character was based on Long John Silver from Robert Louis Stevenson’s Treasure Island. Once more, Harrelson convinces with his nonchalant and cheeky performance. Of course, needless to count all movies of this special actor like Natural Born Killers (1994), No Country for Old Men (2007), Zombieland (2009), Three Bilboards (2017) and so on. Beckett’s wife is a fellow criminal and member of his crew. She is smart and well-skilled in guerrilla tactics. We know the beautiful actress from films like Interview with the Vampire (1994), Mission Impossible 2 (2000), The Chronicles of Riddick (2004). Vanishing on 7th Street (2010). Some actors have a variety of faces. However, the American actor, singer, comedian, producer, rapper, DJ has a variety of names. As DJ he performs under the name mcDJ. As musician he is known as Childish Gambino. 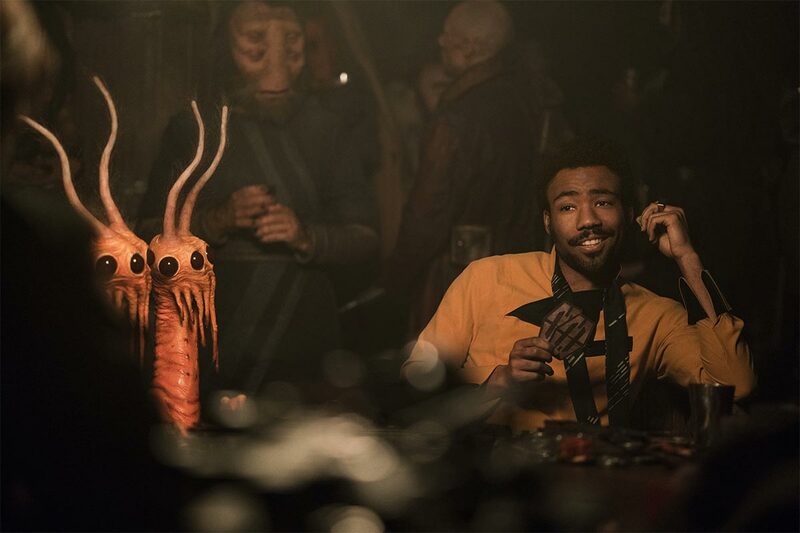 In SOLO: A STAR WARS STORY he stars as the former buddy of Han Solo, Lando Calrissian. The smart gambler owns the Millennium Falcon. The movie shows, how Han change that possession status. Dryden Vos is a villain and he is the public face of the crime syndicate Crimson Dawn. Beckett has to settle old scores. So, they find a dangerous deal. We know the British actor Paul Bettany as Vision in the Avengers movies. But he already worked together with Ron Howard years ago. So, they worked together for A Beautiful Mind and The DaVinci Code. Bettany played also in Master and Commander (2003), The Tourist (2010), Priest (2011) and almost 40 other movies. 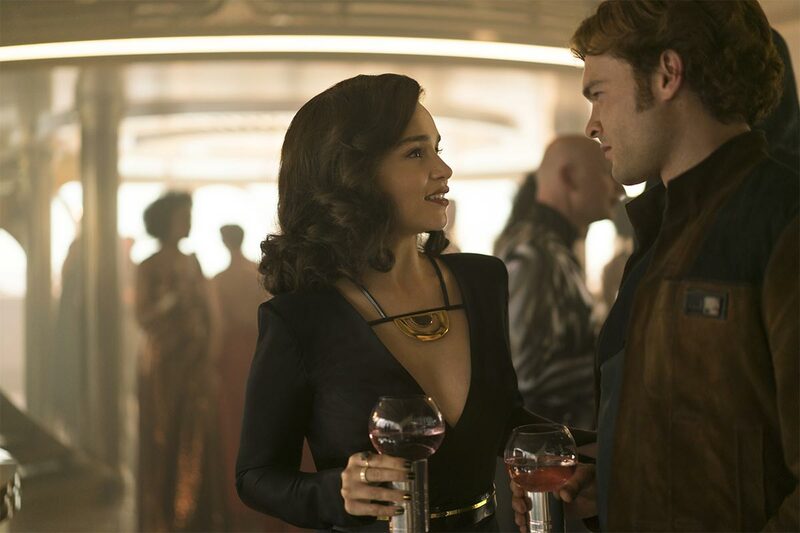 SOLO: A STAR WARS STORY is the second part of the Star Wars anthology series. After Rogue One, the audience had high expectations. Unfortunately, not all of them were fulfilled. But, actually, it means complaining on a high level. The movie is action-packed and thrilling. Although, it cannot spread the mood of the original movies, it provides a glance into the rest of the galaxy far, far away. Furthermore, the film provides an insight to the happenings before Episode IV. Han Solo is still a character, who inspires generations. And, moreover, the film unfolds its power on Blu-Ray completely. Besides the main film, the Blu-Ray version contents a second disc, brimful with bonus material. You will learn everything about the redesign of the Millennium Falcon, the many action sequences and – of course – you will see many deleted scenes. It’s an amazing film package, not only for Star Wars fans. Switch off the light, switch on the sound system, and switch on the Ambilight (or the light-speed) to enjoy an action trip through the galaxy far, far away. 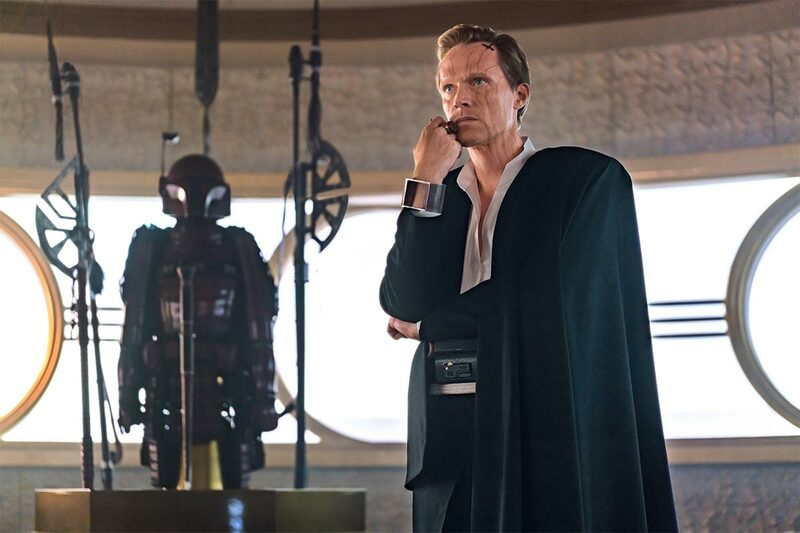 © Images: 2018 Lucasfilm Ltd. and TM. All rights reserved.